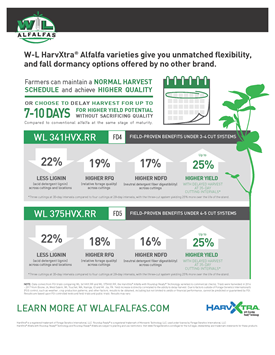 W-L offers alfalfa varieties built on a strong foundation of research and development to help farmers achieve greater yield potentials. Use this chart to find the right alfalfa variety for your operation. 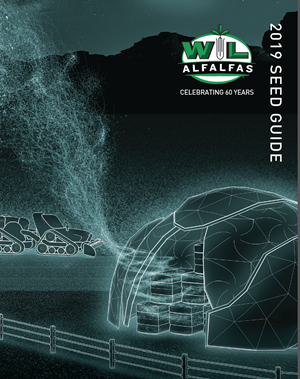 Learn more about W-L Alfalfas comprehensive approach to seed selection. Get exceptional yield potential and forage quality on your toughest soils. Get superior tonnage and outstanding quality under intensive management. Our first fall dormancy 5 release, WL 375HVX.RR, simply delivers.